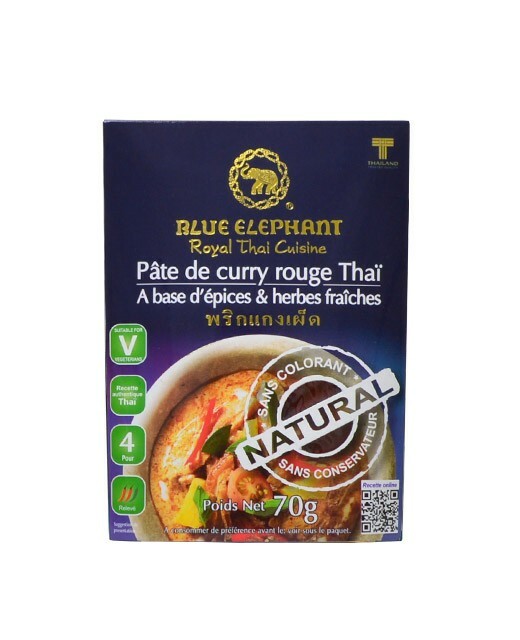 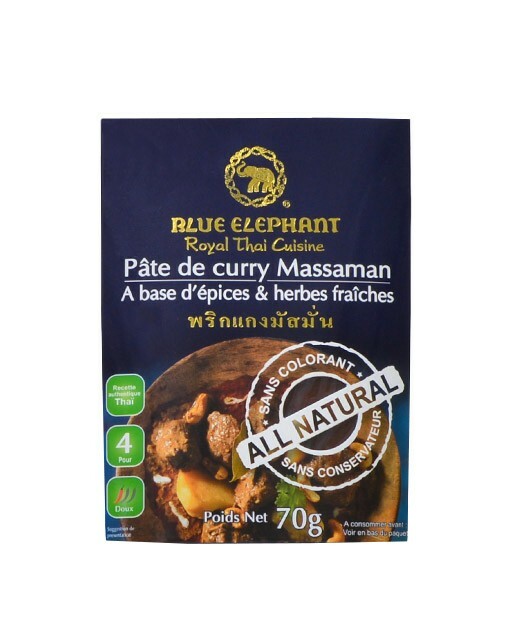 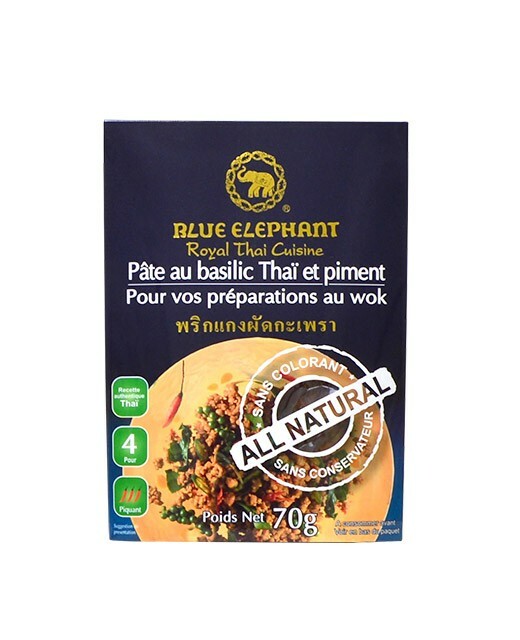 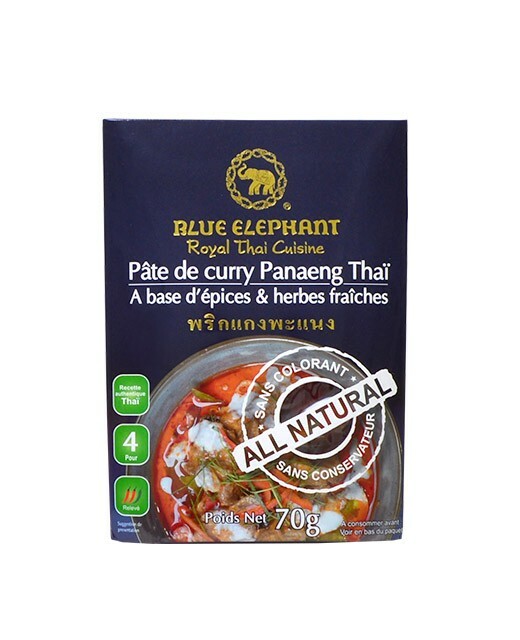 This Panang Curry Paste will enable you to make numerous Thai specialties, such as, for example, the Paneng Nua (Panang curry beef). 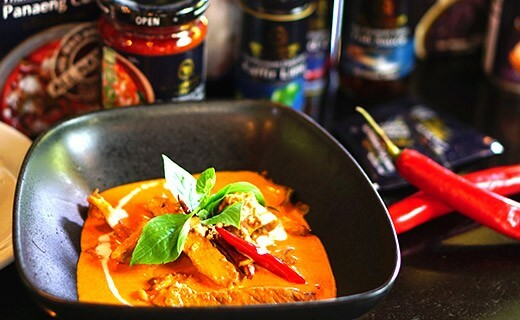 The main flavors of this Panang curry paste are dried red bell pepper, lemongrass, galangal, and shallot. 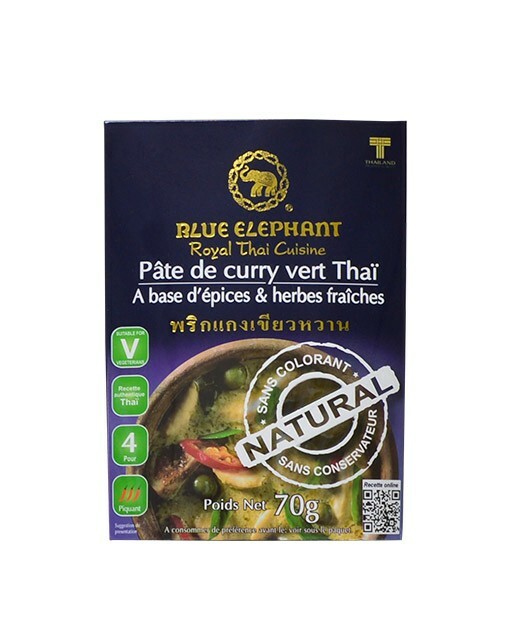 Soy oil, lemongrass 14,8%, dried red bell pepper, garlic 13%, shallot 10,7%, salt, coriander root, galangal, cumin powder, shrimp paste (shrimp, salt) 1,5%, coriander seeds powder, lemon tree fruits, acidity regulator (E330), massaman curry powder (coriander seeds, cumin seeds, cardamom seeds, star anise, nutmeg, clove, bay tree leaves, cinnamon) 0,6%, white pepper.